I received a comment from Anonymous on my post Today I am Ten Years Gone. I'll share it then discuss it. 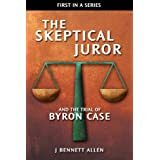 Having read quite a bit on the Case case since hearing about it from your blog, i must say that I have serious doubts as to Byron's version of events. Can you explain any alternative theories as to what happened that night that do not involve a lie in Case's presentation of his facts? I summarize the case quickly for those of you not familiar with it. Then I'll respond to the claim that Byron's case is built on lies. Finally, I'll provide the obvious explanation of Anastasia's death. Byron Case is serving life without parole in a Missouri prison for the murder of Anastasia Witbolsfeugen. She was shot in the nose from point blank range, late at night in a remote and unlit cemetery. Her boyfriend, and Byron's best friend, was Justin Bruton. The same day (or the day after) Anastasia was shot, Justin put a shotgun in his mouth and pulled the trigger. The one other player in this terrible real-life drama is Kelly Moffett. Kelly was Byron's girlfriend. The four of them were a close group of messed up teenagers. All had attempted suicide before. All had used drugs and two of them (Justin and Kelly) at that time still abused drugs. Byron and Kelly each tell essentially the same story of what happened that evening. Justin was supposed to meet Anastasia at a cemetery, but he blew off the date. After repeated calls from Anastasia, Justin decide to make the drive out to the cemetery to meet her. Not wanting to face her alone, he took Bryon and Kelly with him. This did not sit well with Anastasia, who wanted to once again speak alone with Justin about their on-again, off-again relationship. The four of them stopped in the cemetery when it was getting dark. As Justin and Anastasia were getting out to talk, while Byron and Kelly waited in the car, the groundskeeper pulled up behind them and chased them from the cemetery. As they were driving back to Justin's condo, Anastasia asked Justin why he didn't love her anymore. Justin replied he didn't know why. As they pulled to a stop at a stoplight, Anastasia got out of the car, slammed the car door and started walking in the direction of her house. None of the three left in the car said anything. Justin dropped Kelly off at her house, then dropped Byron off at his house. Neither Byron nor Kelly ever again saw Anastasia or Justin alive. Neither had any idea what happened after they separated that night. That is the story they both told repeatedly and consistently for three years. As Kelly's drug problem became worse, to the point her parents threw her out of the house, Byron and Kelly's relationship deteriorated. Near the end, Byron once hung up on her during yet another argument. She called the police and reported that her boyfriend was suicidal, threatening to kill himself with an overdose of sleeping pills. The police responded to Byron's house and searched for the sleeping pills. They found none. They took Byron to a mental hospital for mandatory 23-hour observation. All of the professionals who examined and observed Byron opined that he was definitely not suicidal. Kelly, as it turns out, was (and perhaps still is) a serial accuser. She has accused multiple people (including her father and her husband) of abusing her, of being suicidal, of committing murder. Only the last charge was ever believed. After being wrongfully incarcerated in a mental hospital for a day, Byron decided to leave Kansas City entirely to get away from Kelly. He told her was moving to St. Louis, but would not provide his phone number or address. Six days after he left, Kelly and her attorney met with the Jackson County Prosecutor. After three years, she changed her story about what happened that night. She claimed that after being chased from the first cemetery, they went to a second. There, while Anastasia and Justin argued outside the car, Byron pulled a double-barrel shotgun from the trunk and shot Anastasia from behind, from a distance of five feet. It took a year before the police arrested Byron, and it took the State another year to try him. Those stories are too long to be detailed here. You know the outcome, however. Despite the complete lack of forensic evidence, despite the physical impossibilities of Kelly's story, the jury found Byron guilty of first degree murder and armed criminal action. He his actually serving two life sentences without parole, one for each charge. Regarding Anonymous' suggestion that Byron's story is based on lies, note that Byron and Kelly told the same story repeatedly and consistently for three years. Be aware also that Kelly's changed story fails spectacularly on multiple grounds such as timeline, ballistics, spatial relationships, and time of death. 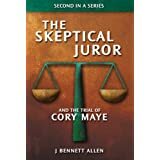 I discuss all these in The Skeptical Juror and The Trial of Byron Case. Here I'll summarize just a single hard fact that impeaches Kelly's latest version of events. The State's case against Byron rests entirely on the testimony and credibility of Kelly Moffett. For Kelly's story to be true, Anastasia must have been murdered around 7:30 PM on October 22, 1997. Anastasia's body was discovered at 3:44 AM on October 23, 1997. Her eyes were still opened. This observation intrigued me. As it turned out, it convinced me that Byron was factually innocent and that Kelly was lying. I searched long and hard for any significance that might be associated with the eyes remaining open postmortem. I learned something significant that had never been mentioned at any point in Byron's entire case history. I learned that if the eyes remain open after death, the corneas cloud over within 2 to 4 hours. Anastasia's corneas were clear when she was discovered, and her eyes were open. She must have been killed near or after midnight. She could not have, absolutely could not have been killed anywhere near 7:30 PM the previous day. I have been working to free Byron Case for 18 months now, maybe more. I speak to him once every two weeks for 90 minutes, and we spend almost all the time talking about the next step in seeking his freedom. I still spend substantial time beyond the phone call working on his case. I am, as my readers might by now be aware, quite skeptical. I check what I can six ways from Sunday. I will tell all of you here and now that in all my conversations with Byron, I have never caught him in a lie. I have tried. I have failed. I don't, however, believe in Byron's innocence because of what he tells me. I believe in his innocence because of the hundreds and hundreds of hours I have spent pouring over the case documents. Nowhere in those case documents can I find anything that puts a lie to Byron's story. I do, however, find issue after issue that puts a lie to Kelly's revised story. Other than the corneal cloudiness issue, I won't discuss them here. I'll leave them to be read in my book. I have now explained how Byron came to be charged, summarized just one of the many reasons I believe Byron to be factually innocent, and responded to the suggestion that Byron's story is based on lies. I'm left with one task, to provide an alternate explanation for Anastasia's death. Such a request, of course is a trap. Anyone of us charged with a crime has no obligation to explain how the crime was actually committed. It is not our responsibility, nor are we usually in a good position to build an alternative case. Any suggestion that someone might be guilty because they can't provide a viable theory of how the crime might otherwise have been committed is absolutely counter to the very foundations of our society. I will nonetheless fall prey to the wily Anonymous. I'll venture to explain my theory regarding the death of Anastasia Witbolsfeugen. It is neither clever nor convoluted. It is simple and obvious. Anastasia Witbolsfeugen died as part of a suicide pact. There is no doubt that Justin Bruton killed himself. There is also no doubt that Anastasia was suicidal, in the extreme. Again, I'll leave most the details of her desire and attempts to kill herself to my book. Here, I'll simply close by quoting from a letter she left on Justin's computer a couple days before her death. I wish I could kill myself. I wanted to do it before but I couldn't because I firmly believe that you would come back to me. I hate life. Life is a big joke to be played on the ones who don't want to feel it. I never wanted to feel life. I think nothing was proven beyond a reasonable doubt as to who killed Anastasia. But there was a trial and a verdict. If it is wrong, then I hope the real facts exonerate Byron. Many other possibilities could be explained reasonably. It could have been suicide because it was at close range and no evidence proves who actually did do it. There could have been a witnesses or witnesses who panicked and did not want to be in trouble who disposed of the gun. Or someone later moved evidence because it was their gun and did not want to be tied to it. It could have been an accidental shot due to not knowing there was actually a bullet in the gun, i.e. Russian Roulette; it could have been murder-suicide, or later Justin could have killed himself, or suicide by her and later suicide by Justin (not necessarily due to a pact but due to emotional trauma), or it could have been a double murder, etc. There are many explanations that are plausible and it doesn't seem that any of it was proven. 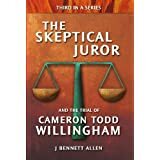 The truth may have been what came out of the trial, but not necessarily because there was never forensic proof. I can think of many scenarios that could make sense for any of the possibilities. I just hope that IF Byron did NOT murder her then he will get another trial. If it is so, then hopefully, it will rest finally. Justin may have felt guilty that she was dead due to the fact that he had told her he no longer loved her. Even that could have many different scenarios all of which could be believable. I can think of many scenarios about Justin later killing himself that would make total sense. He may have seen her kill herself, or saw someone else do it or found her or had a pact...and still waited and after much distress took his own life. I could go into many ways but it would be too lengthy. Interesting theory regarding corneal clouding post mortem, however, your facts are not correct. That clouding may occur within a few hours or it may take longer or shorter, depending on many factors. Estimates of post mortem time cannot be scientifically established based on corneal fundus or clouding. Using your theory as a basis for "factual innocence" is not valid because no medical examiner will testify using ocular or corneal clouding as the (sole) basis for his or her time of death estimates. Isolating the state of this victim's eyes and cornea and making a pronouncement of when she had to have been killed based on that is simply not correct. "The eyes often exhibit some of the earliest postmortem changes, as a result of stoppage of capillary circulation and settling of red blood cells. If the eyes remain open, a thin film or cloud can be observed within minutes on the surface. Typically, in about two or perhaps three hours postmortem, some corneal cloudiness will often present. However, if the eyes are closed, the corneal cloudiness or film (as it is sometimes called) may be delayed by many hours;"
The eyes in this case were not closed postmortem. They remained open. The corneas were still clear when the body was transported to the morgue at 6:15 AM, almost 11 hours after the time Byron allegedly murdered the victim. Furthermore, I do not base the time-of-death solely on corneal cloudiness, as you suggest. In a three-part post, I described twelve time-of-death indicators in this case, each of which indicates a time-of-death much closer to midnight than to 7:30 as the sole "eyewitness" claimed. I for one do not believe Kelly moffett,s story,there are way to many points that don't add up,and I don't believe she killed herself either,someone of her size could not have put a shotgun to her head and been able to pull the trigger,and also nearly every suicide with a shotgun the barrel is put under the jaw or in the mouth,and I also don't believe the man in prison for her murder is the man who killed her either,and I find it very hard to believe that he was convicted on Kelly,s testimony alone,I think the boyfriend killed her disposed of the gun,went home and started feeling remorseful and guilty of what he had just done,and couldn't bear the thought of going to jail,and because he had either damaged the murder weapon and disposed of it or disposed of it where he couldn't get it back went and bought another shotgun and killed himself,that's how I see it.